I have enjoyed writing ever since second grade when my teacher liked one of my stories so much she had it published in the school newspaper. I have stacks of notebooks and scraps of paper with stories or ideas for stories scribbled on them. I have stories I wrote for my classroom, teen novels I drafted to entertain my three daughters, and short stories based on the oral history my grandmother shared with me as a child. 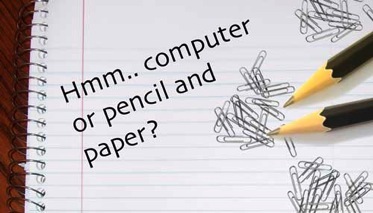 I have written numerous professional papers (including a master’s thesis and a doctoral dissertation). I published educational articles and submitted proposals and reports to the state as part of my job at Cincinnati Christian University (CCU). I always wanted to write a novel. I had ideas. I could weave together a decent story line. I wasn’t lacking time or motivation. It just never seemed to be the right season. I recently looked back on some notes I took at a one day writing seminar in the early 1980’s. Publishers were begging for Christian fiction. I thought I could do that, but God always seemed to have something else in mind at the time. I thought His plan was for me to experience more in life. Grow spiritually. Or perhaps, God intended for me to focus on raising my daughters, teaching my students, and bringing the teacher education program to CCU. Maybe. Maybe not. As most of you know, I am in the process of editing and revising my first novel. I feel blessed to have been given a contract for it. I am excited about the publication. I am learning more and more about ways to strengthen my own writing as well as the ins and outs of the publishing business. All of that is good, but I think I am finally understanding why God waited to give me this opportunity at this time in my life. He was waiting for computer technology to be refined to meet my writing needs. No, I do not think I am the center of the universe. God did not put this sort of technology into someone’s brain just for me. But He knows me. He knows, for instance that if I had to rely on writing everything out longhand, I would create wonderful stories nobody could read. I sometimes can’t decode my own script ten minutes after I jot something down with a pen or pencil. And if you don’t believe me, just ask one of my former college students about my handwriting. He also knows I abhor typewriters. 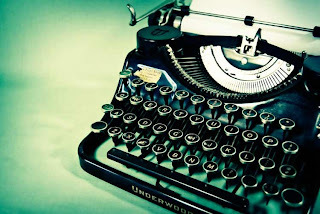 If I accidently hit the wrong letter on a typewriter I would sit for hours thinking of a new word that would fit in my sentence rather than use correction tape or whiteout. And because my handwriting is so illegible, I could never have anyone else type for me. Dictate you say? No. God knows me there, too. He knows I think best when I see the words on the page. I ramble when left to “tell” the story. Again, my students can confirm this. Okay, okay….my husband would agree to the rambling part, too. Nope. God gave me the desire to write and He gave me lots of opportunities to practice over the years. But to take on a novel? He waited until I had the computer technology to draft, save, check spelling, revise, cut and paste, find and replace, move, change the font, revise some more, add text in the middle of a page, cut text from the middle of the page, save again, email my editor, print only selected portions, write some more and revise some more. Hit send. Thank you, God. Your timing is always best. I learned in elementary school about how to tell if a book was written in first person, second person or third person. It was a simple matter of pronouns. “I,” “me," and “my,” or a "we/us" approach indicate a first person point of view. “You,” “yours,” or where I come from “ya’ll,” is indicative of a story written in the second person while “he,” “she,” “they” tells the reader the story is written in the third person. 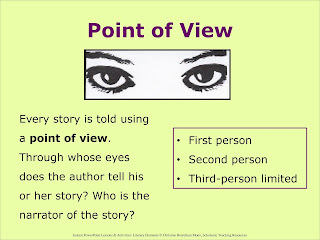 Most works of fiction (most, not all) are written from a third person point of view. I have used this technique to weave my story, but now I am learning there are different layers of that third-person narrative. 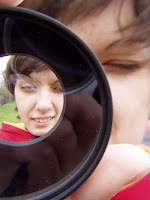 For example, I can tell the story as if I am on the outside looking in. I can tell the story from several characters point of view. The best way to successfully do this is to use one perspective per scene. 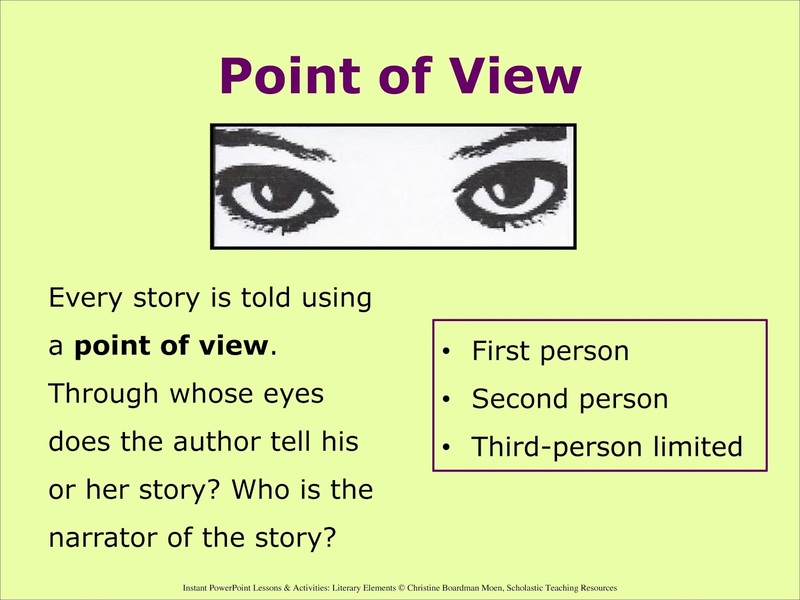 Another sort of third-person point of view may be described as “limited.” That simply means that I need to construct my story from my main character’s perspective, but still told in a he said, she said format. The most intriguing of all third-person writing, however is what has been described as “close” or “deep” third-person. My wonderful editor, +Bethany Kaczmarek put me onto this type of writing. It is probably as close to first person experience written in third-person as a writer can get. I like this because I want my readers to experience everything my character experiences. I want them to fully identify with my protagonist. In the first sequence I am “telling” the reader about the experience and in the second I am allowing the reader to experience it with my character. Okay. I am learning this and hopefully becoming a better writer because of it. I realize I may not be explaining close third person eloquently so I offer to you the two links I found particularly helpful to me. The first is excellent because it gives three examples that clearly demonstrate the point. I like the second one because it offers an explanation, while also giving a few strong guidelines so we as writers don’t confuse our readers. Take a look and let me know what you think. And thank you, again, Bethany for being the great editor and writing coach God has called you to be. http://www.bellaonline.com/articles/art42620.asp Sally Apokedak addresses Close Third Person as a guest writer on BellaOnline. 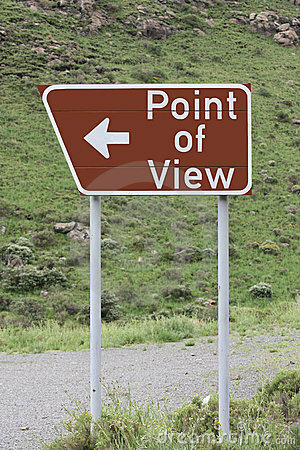 http://writingonthewallblog.blogspot.com/2010/03/close-vs-distant-pov.html Here, Annette Lyon offers some “rules of thumb” concerning point of view. I have been thinking a lot about first impressions lately. How does the saying go? I haven’t always made a “good” impression, I’m sure. But at least I have made some memorable ones. I am thinking of my first year in graduate school. Actually, the first class when I drove myself to the University of Cincinnati for an evening course. I got lost on the campus, parked in unfamiliar territory, and wound up climbing a hill to find the classroom. I looked at my watch. I would be late but I pressed on. I found the assigned room only to discover the class had moved to a different building. “Come on in,” the bearded professor beckoned, when I arrived at the door ten minutes late. Of course the only available seat was near the front on the other side of the room. Somewhat embarrassed by my tardiness, but relieved to have found my class, I made my way to the small, old student desk. “I just asked everyone to tell us their name and why they are here,” the professor explained to me. He turned back to the student who had just finished speaking as I arrived. I found comfort in the fact they were just finishing introductions on the first row. I wasn’t that late. I sat. I listened. “Hi, my name is Linda Jones. My research is called Dissonance in Urban Communities: Cultural Differences in Communication.” Must be a doctoral student. They title everything with a colon. I am sitting in row six, third chair back, waiting my turn. When it finally comes, I open my mouth and speak. If not a great first impression, it was at least an honest proclamation. I had a husband and three little girls. I taught first grade and was active in my church. Monday evenings were free. I didn’t even choose my class. My husband chose it for me one day at work. He worked for the university. I was taking the course on the tuition remission program so not only were my Mondays free, so was the course. It gets worse. And better. After class I asked the professor to help me find my car. He did. We became friends. Jeff encouraged me to seek a degree in Educational Foundations and became both my advisor and mentor. We later laughed about my first class with him. It was at least memorable. What does this have to do with my writing? I am currently working with an editor to refine my first novel, Breathing on Her Own. Bethany is helping me get it in shape for its release next March. She is more than an editor. She is a writing coach. She’s right. 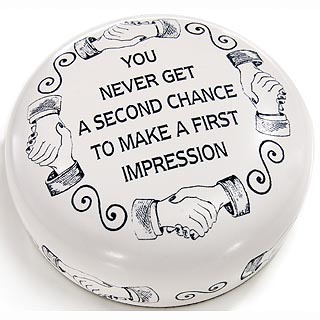 You only have once chance to make a good first impression. Or at least a memorable one. So here is your challenge. Pick up your own writing and take a long hard look at the first sentence. Or, if you prefer, look back at your all time favorite books and read the first sentence or first paragraph there. What is it that grabs your attention? Action? Dialogue? One powerful word? What makes that first impression powerful for you? A couple of weeks ago two fellow authors asked me to review their debut works. I was honored. I respect both of these women and know they have that same deep desire I hold to develop a writing career. 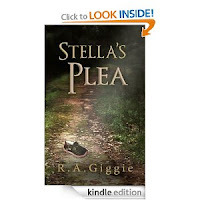 The first work I read is a compelling work of fiction by R.A. Giggie titled Stella’s Plea. 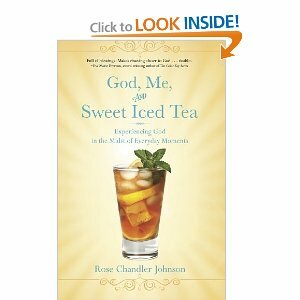 The second is a devotional by Rose Chandler Johnson called God, Me, and Sweet Iced Tea. Two very different types of books. I decided to review both here and then share what these books mean to me as a writer. Stella Brigg has had her share of pain and suffering. Her three-year-old daughter is deaf due to an illness a year ago, her husband is serving a military stint in Korea, and she has pulled away from God. Now, her child is missing. A simple day at the park turns into a crime scene. Isolated, Stella must battle her pain and her fears. Giggie weaves a tale of despair and grief. Her heart-pounding tale of the abduction of the deaf child is chilling. I have read many suspense novels. Giggie intertwines the story of Stella, the abductor, and the police in a way that engages the reader from page one. The style, reminiscent of Mary Higgins Clark, brings the reader to a climax and just when we think the story is over, she takes us into the world of Stella and the Deaf culture beyond this life-changing event. I like the revealing of the Deaf culture and the aspirations of a young deaf woman who helps the police. I had some difficulty whole-heartedly embracing the notion of a residential deaf school for very young children, but as this takes place in Canada I can accept the idea as a socio-cultural difference in thinking. 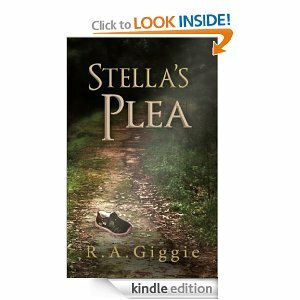 Stella’s Plea is a quick read... engaging, and memorable. I highly recommend the book. It is available on amazon.com. Read it and leave a review for Giggie. Through the years I have been given a number of devotional books. Few have sustained my attention. 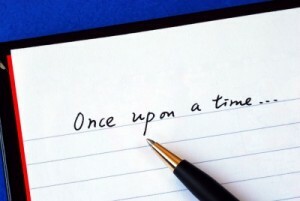 Most offer a scripture, an explanation of the scripture with or without an anecdote, and pose a prompt for journaling. While this book also offers a scripture and journal prompts, what I like about God, Me, and Sweet Iced Tea are the stories Rose Chandler Johnson shares from her own life experiences with each entry as well as the brief a “sweet tea moment” and a prayer focus that often includes the needs of others. Refreshing. I appreciate the use of different translations throughout the book, though I found myself wondering if I might be missing something in the suggested readings if I read only from my New International Version of the Bible. The book can be enjoyed for each story or the reader seeking a deeper connection with God can dig into the suggested supportive scripture readings. I recommend the book as a tool to explore your own faith. I think it is the type of book I will visit over and over, indulging in different aspects of each entry over time. God, Me, and Sweet Iced Tea is also available on Amazon.com. From Giggie I read with keen interest how she displays feelings of despair and helplessness with her word choices. I ached for Stella when her daughter disappeared. I felt emotions Stella had to have been feeling without Giggie telling me how to feel. I appreciate her choice of words and crafting of phrases. The devotional writing reminded me that as a reader I find comfort in structure, but I also enjoy being challenged to think for myself. More importantly, Johnson demonstrates in a very powerful way that if we want to connect with our readers we must be willing to leave a bit of ourselves on the pages. Perhaps that is for me the big lesson here as a writer. Leave a bit of yourself on each page.